How about some marine artworks instead of chocolate eggs this Easter?!! These original artworks are for sale now at Cafe Jilarty and Gallery at Rainbow Beach. “Hoppy” Easter everyone! You can also view my current Art for sale. 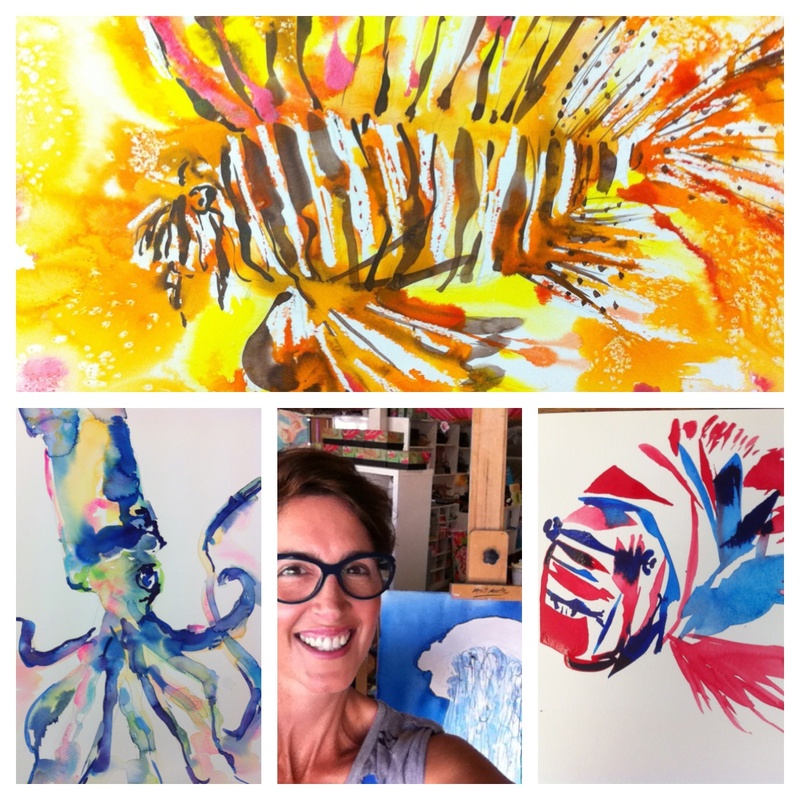 I’m excited to announce that I’m part of a creative collaboration which was recently selected to display our SeaLIFE artworks in the “Outside In” Art exhibition at St. Vincent’s Private Hospital in Brisbane. SeaLIFE aims to provide patients and their families with a connection from the hospital to the outside underwater world. You can also view my current Art for sale. 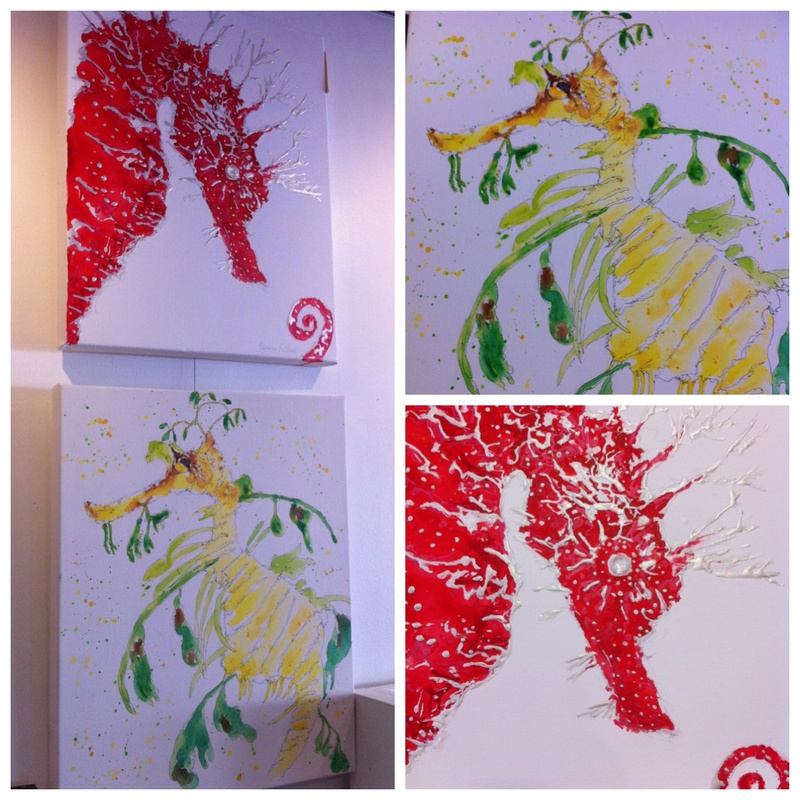 Seadragons and Seahorses – SOLD! My sea creature paintings “Leafy as a Seadragon” and the “Little Red Seahorse” have recently sold at Cafe Jilarty at Rainbow Beach! This was my first attempt at using very different mediums on canvas to create these serene sea creatures. And, I’m so thrilled that the little red seahorse is now making its way to the USA as a gift!